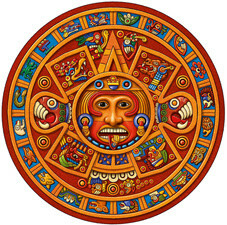 Mayan Calendar - end of the world? There is a difference. The Mayan Calendar predictions were based on ancient superstitious beliefs, without any evidence or scientific foundation. The Millennium Bug, or Y2K problem as it’s also called, was totally the opposite. It was a real and serious threat relating to computers only recognising two digit years for the 20th Century – meaning software could not identify the year 2000. This would have resulted in computers deciphering the year 2000 as 1900, causing world-wide chaos if the problem hadn't been repaired in time. For example, software with two-digit years that controlled power grids, air traffic, banking systems and phone networks could have failed at the turn of the millennium if the 'bug' wasn't corrected. When the year 2000 arrived, there were so few problems resulting from the Millennium Bug, that many people considered the original fears must have been a hoax. What they failed to realise was that the problem had been fixed, and that’s why the world was spared a world-wide computer catastrophe. The total cost of fixing the Millennium ‘bug’ is estimated at over US$300 billion; considered vital by many to avoid disaster. It was a monumental task and a tribute to the IT industry that, in the main, they resolved the problem in time. This is often overlooked. A few computers were not corrected in time for 1st January 2000 – and this did cause a number of problems, before and after the turn of the millennium. For example, in the UK, as a result of the Millennium Bug, incorrect Down’s syndrome test results were sent to 154 pregnant women, resulting in two abortions. In Japan, radiation monitoring equipment failed at midnight 31 December 1999 – fortunately no one was hurt. Several websites, including the weather forecasting service in France, showed the wrong date. Yet it could surely have been worse if those computers most affected by the Millennium Bug hadn't been fixed in time. The threat from the Millennium Bug was real; but the predicted world's end according to the Mayan calendar is not. There is, however, one important connection between the predicted world’s demise by the Mayan Calendar, and the potential world chaos anticipated by the Millennium Bug. Over 4,000 years ago a calendar was created by a small ancient civilisation of humans, known as Maya, who were brilliant mathematicians, but only had limited knowledge of the movement of the stars. Subsequently their invented calendar was impressive, but badly designed, and fatally flawed. Their calendar’s prediction of the world’s end on 21 December 2012 will be wrong – and money spent preparing for this mistaken forecast, together with the panic felt by those who believe it, will be completely wasted. Less than 100 years ago, computer software was created by a large modern civilisation of humans, often known as as ‘Geeks’, who were brilliant mathematicians, but only had limited understanding of using correct date formats. Subsequently, their invented software was impressive, but badly designed and fatally flawed. The software fault could have caused worldwide problems from midnight on 31st December 1999 – but money spent preparing for this realistic prediction, together with the fear felt by those who believed it, were completely validated. It’s important that we discern between rational evidence-based threats and fears, and those emanating from complete nonsense. The future of the human race may depend on us getting this right, and understanding when a warning needs to be taken seriously, and when it can be dismissed and ignored. Nasa predicted that this video will be available to view on 22 December 2012 - one day after the world was to end. But just in case, the video was released one week early. After all, even scientists can get things wrong! In all fairness to Geeks, the 2-digit year was the result of economic forces. In the early days of computing, resources were incredibly expensive, and the Geeks were rarely in charge of budgets. This leads to an entirely new discussion of technologists versus bureaucrats. Additionally, nobody writing software in the 50s and 60s ever even dreamed that it would still be running in 1999. Thank you lightworker29501.com for your contribution. Yes, I mostly agree: using two digits for a year instead of four saved precious resources, even before the computer age, when punched cards were used followed by magnetic tape. The practice became a lazy tradition, even though computer scientist Bob Bemer publicly addressed the problem as early as 1958. He spent the next 20 years trying to make programmers, IBM and the US government aware, with little effect. None of this negates from the point, however, that the Millennium Bug was a real and potential disaster for the world, requiring urgent attention. Conversely, the prediction that the world will end on 21st December is not a real or potential disaster, and does not need any attention. The question is: how do we educate people to appreciate rational evidence, and tell the difference between authentic and false dangers? You can not put blame of Y2k bug on computing. Using two-digit years was an extension of shorthand in clerical data keeping on paper records. Keeping track of the date & time was not sensible for business operations which operated at the speed of weeks and days not minutes and nano seconds, at that time. Science calculations did need sub-second timing and the computing hardware did support milli-second time tracking. Still the Millenium Bug as it was hyped in the few years preceding 2000 was a hoax, because by this time most affected corporations had remedied their code decades prior as healthcare, life and investment management software needed the adjustments in forecasting and calculating morbidity and investment yield tables far in advance of 1998 and 1999. The Millenium Bug resulted in companies wasting millions revamping code that has been retired to .net servers or replaced by COTS. However, the one advantage is that going into the future, enterprise leadership developed measures for return-on-investment for outlays on IT. I accept that there are strong arguments for and against the validity of the ‘Millennium Bug’. One view holds that the vast majority of problems had been fixed correctly, and so the money was well spent. Another view is that there were no, or very few, critical problems to begin with. Yet another view is that the problem was real, but considerably over-hyped by the media. My article takes the stand that the Millennium Bug posed potentially serious problems that required fixing, and that the world responded appropriately to the predicted crisis. Those who worked in Y2K-compliance efforts insist that the threat had been real. The main aim of my story was to demonstrate that the ‘science’ behind the potential risks posed by the Millennium Bug was more rational than a superstitious interpretation of an ancient calendar predicting the world's end next Friday. I seek to gain wider appreciation and understanding of ‘scientific evidence’. As always debate about these issues is healthy. Consensus, especially in matters regarding science, usually takes a long time to achieve. It’s probably best not to take too entrenched a stance, on any subject, just in case new or better evidence means we have to change our minds. The big danger posed by the MillBug was its potential effect inside machines (the embedded systems in e.g. aircraft). In my opinion, at that stage in the story, the danger became greatly exaggerated, because it became impossible to define the limits of the problem. And as it turned out, most embedded systems do not rely on date for their basic functions, although some do. The problem with anti-climaxes such as the MilBug is that everyone uses it as an example of why we needn't worry about anything, when it fact, we need. In answer to your question: we distinguish by improving the teaching of science, the philosophy of science, and mathematics. I agree that we risk everything by not fully appreciating how important The Enlightenment, and the birth of rational thought are to all our presents and futures. The danger posed by climate change is the best current example, in my opinion. i think this is very interesting, i think what you are saying is right but this is a very highly opinionated society we live in to day so your always going to get the people who disagree and the people who want the disaster to come and so on and so on. In my opinion you are correct, you have a lot of valid points to back up your evidence and it is believable, unfortunately people hide behind anonymity and try to degrade your findings, i appreciate yourself writing this article and i will look out for you in the near future. I completely agree, Y2K could have been catastrophic. Corporations took it very seriously as they knew that they could have been put out of business if there were serious errors. I'm a 'Geek' (cringe), and I worked long hard hours, at one point 36 hours straight, to make sure all of our systems were ready (I worked for a large credit card processor). While people were partying, we were at work overnight sitting by phones and monitoring systems to make sure the company still existed after midnight. Thanks Nigel for your contribution, and providing confirmation from the 'front line' of the battle against the Y2K/Millennium Bug. I agree -- I worked as a technical analyst for a bank and we started our Y2K preparations in 1993. All the COBOL code had to be fixed to move to a 4 digit year and many assembler programs needed patching as well. Virtually everything running on IBM mainframes (which includes almost all financial institutions) were going to have major problems if the code referencing the year wasn't fixed. Big Deal, true both were man made, but Mayans, created a calendar system when the ENTIRE WORLD was still ignorant to time. That clearly shows there was something in the sky then that we don't see today or are not paying attention too. Thanks (another Anonymous poster) for your contribution. I am not sure why just because the Maya created a calendar it means they could see something in the sky that we don't see today. Where is the proof of that? The evidence is that actually the Maya people couldn't see or understand anywhere near as much of the world and universe that we have discovered in the thousands of years of human and scientific progress since their time. The Maya were smart and sophisticated people, but with considerably limited knowledge compared to today. Their calendars were crude, being based on a year length of exactly 365 days, which meant that their calendar fell out of step with the seasons by one day every four years. The Maya were hardly civilised either compared to our definition: they practiced ritual human sacrifice, when people were killed by having their arms and legs held while a priest cut the person's chest open and tore out his heart as an offering. The Maya believed in superstitions, mythology, supernatural beings and events, divine authority from various ‘gods’ and the existence of ‘bird demons’, ‘maize heroes’ and deities of thunder and lightning, to name but a few. You can, if you wish, choose to believe that such an ancient civilisation, who thought that mankind was created out of maize dough, had superior knowledge about our life and future than we do today. You can choose also to believe that such a civilisation, which wasn't able to predict its own demise, nevertheless could foresee ours. I prefer to follow rationality and evidence based thinking and actions. Interesting comparison and excellent show of common sense. Your comparison/contrast of these two events is spot-on, and your most compelling argument lies in the reply above: "You can choose also to believe that such a civilisation, which wasn't able to predict its own demise, nevertheless could foresee ours." Well it's the 22nd of December in Australia and the world didn't end last night, again another hoax. I see no technical reason why a computer or software would not function based on the date. There is no reliance on the date. It doesn't make a lot of sense to me. What I was hoping to find in this article was some true technical reason why a computer would rely on the date to function in any way. Thank you (another) anonymous contributor for your comments. The role of my article was to highlight the difference between a real, evidence-based threat to the world (the Millennium/Y2K bug) with an irrational baseless fear of the world’s end from a misinterpretation of an ancient calendar. Many industries absolutely and critically rely on their computer software precisely interpreting the correct date, and also an accurate time lapse between dates. So, for example, with a two digit year, computers could miscalculate the difference between 1 January 2000 and 31 December 1999 as -100 years rather than 1 day, potentially causing chaos. The bug not only existed in some software but also in some older computers firmware too. This problem seriously threatened all the major industries, including utilities, banking, manufacturing, telecom and airlines. Accordingly, prior to the year 2000, companies and organisations worldwide checked, fixed, and upgraded their computer systems, at an estimated cost of $300 billion. No such fixing was required in response to fears about Mayan Calendar, because it wasn't a genuine threat at all, even though it caused panic across the world. As President Franklin Roosevelt once said, “The only thing we have to fear is fear itself.” Fear itself can cause great damage, expenditure and loss of life and this is so unnecessary when the fear is in response to a non-existent threat. On the other hand, fear in response to genuine danger can be a useful and appropriate spur to action. My article proposed that a clearer understanding and appreciation of rational evidence could help people to differentiate between real and fake hazards. There was no rational evidence to support world-wide fear of the planet’s end resulting from the Mayan Calendar. Jon, I'm almost sure the Mayans were not predicting an end of the world day with the end of their calendar, though most people interpret it this way. Yes, I agree, this was a modern day interpretation of an ancient calendar. So much has been lost from that early civilisation of the Maya; who can really be sure what they meant? Just in case you didn't know, January 1, 2000 was NOT the start of the new Millennium, nor was it the beginning of the 21st Century...There no year Zero, between the end of 1BC and 1AD, so that means that January 1, 2001 was actually the new Millennium and the beginning of the 21st Century! 3rd Millennium ~ January 1, 2001 to December 31, 3000...So on and so on and so on it goes! I didn't believe in the Y2K Bug (nothing happened to my Computer on 1/1/2000) And I didn't believe in the World ending on 12/21/12...People are so gullible and will believe most anything they read, especially if it's on the Internet! Anyway, I think the Y2K Bug scare was a bunch of malarky, but that's just my opinion! The Mayan Prophecy of the world ending on December 21,2012, even if it were to be correct, should not have been blown out of proportion. In this age when information travels real fast and across the boundaries, there is a need for more responsible behavior and ethical conduct on part of the information providers. I am of the considered view that sensationalization of the matters shall be avoided at all costs since it creates public chaos. There is no harm in hiding these panicky information pieces from entering the public domain because people can not do much about these problems except getting paranoid.